Thank you for your interest in Seedlings Braille Books for Children. Every ten dollar donation we receive makes another braille book possible. Tax-deductible donations help to subsidize the high costs of braille book production, keeping books affordable for families and therefore contributing to braille literacy. Please be assured that your donation to Seedlings will be carefully and lovingly administered. The hard work that your gift represents will be matched with our own dedication and energy, and thanks to our combined efforts, many blind children will be blessed with books to read! We deeply appreciate your willingness to share the gift of literacy with these precious children! **Federal employees, please consider donating to Seedlings through payroll deduction! Watch for information through your employer about the Combined Federal Campaign (Children's Charities of America). 1. Click the 'Donate' button below. 2. Click the gray zeros ($0.00) & type the amount you wish to donate. 3. Click 'Donate with Paypal' or 'Donate with a card'. 4. Please be sure to fill in your address so we can send you a thank you note. 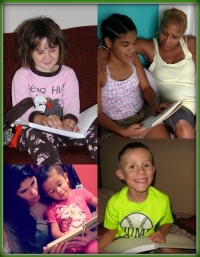 DONATE BY MAIL: To donate by mail, enclose your check or money order (payable to Seedlings) or credit card information and mail it to: Seedlings Braille Books, PO Box 51924, Livonia, MI 48151-5924. Thank you for all of your help and support! It is truly appreciated!